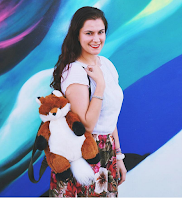 'Tis the season for gift guides! To save you time & money, I created this massive list of amazing gift ideas for pretty much anyone in your life & they're all $50 & under. Yep, you read that right. $50 & under. From the wanderlusting world traveler to the up-to-date gadget lover, there something is something here for everyone. 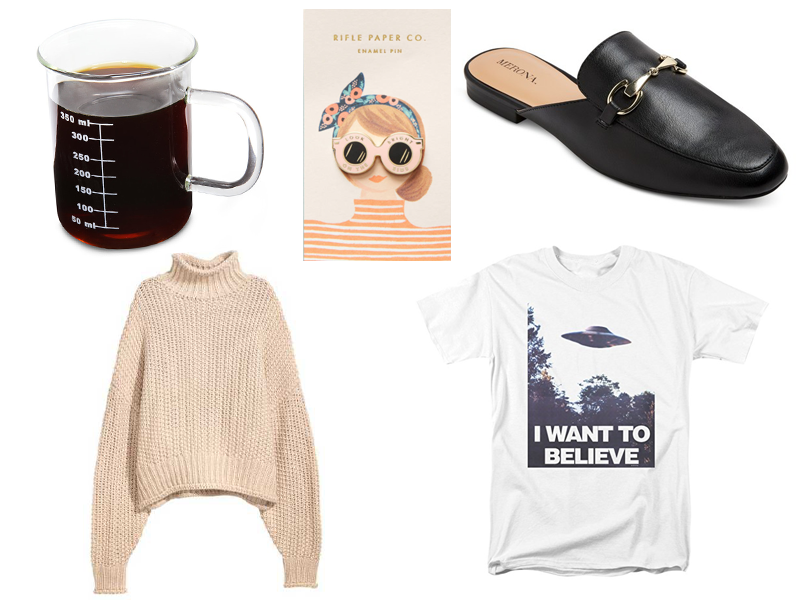 These gifts are perfect for the cool friend. We all have that friend who has a je ne sais quoi quality to them. They're one-of-a-kind & awesome. You hold them with high respect & you're happy to have them in your life. I Want to Believe T-Shirt // got my boyfriend this, he loves it. Also great if you're an X-Files fan! Enamel pin // your friend can put it on a bag, shirt, vest, hat, backpack, etc. 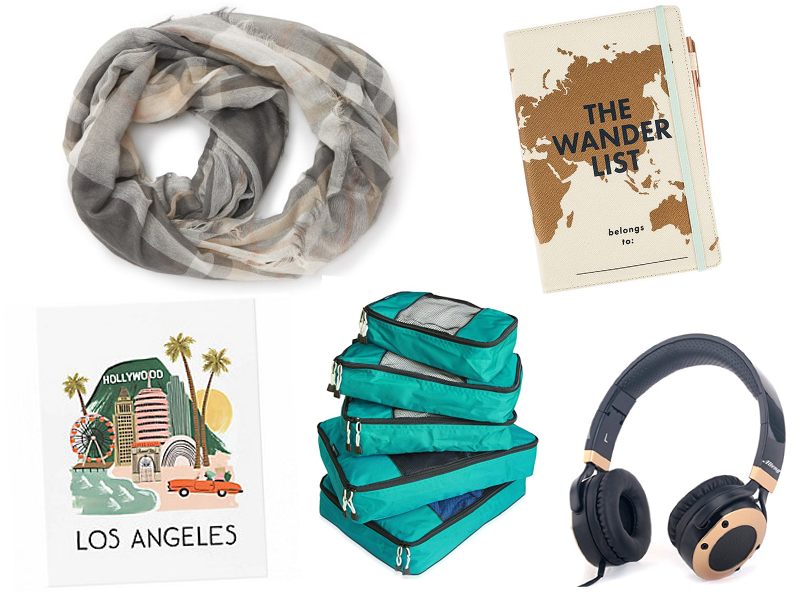 These gifts are perfect for the person who loves to travel the globe. These presents can make their travels more comfortable & memorable. This friend is always ready for a trip, near or far. Adventure awaits! Plaid infinity scarf // a comfy scarf is a plane essential - trust me! 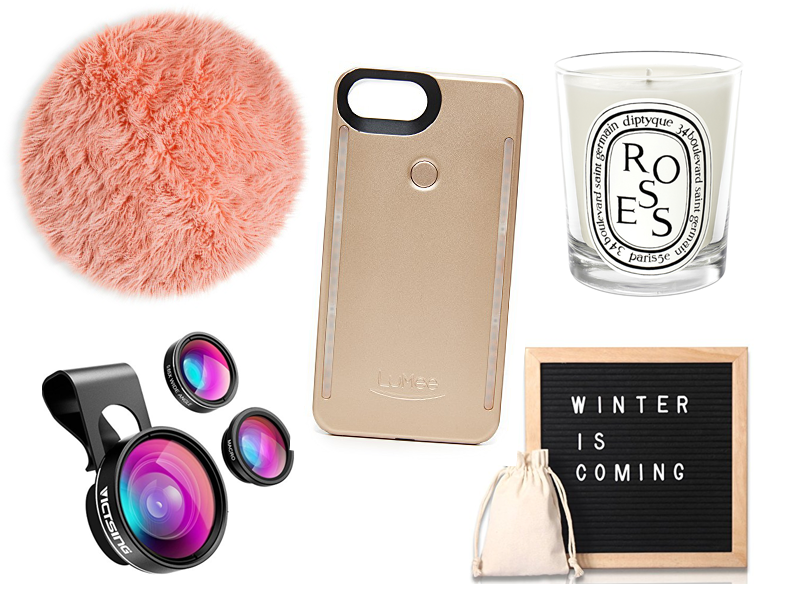 These gifts are perfect for the badass blogger in your life. They're looking for some cool ways to elevate their blog posts, Instagram photos, online presence, & office. Take a look at these blog-friendly goodies. 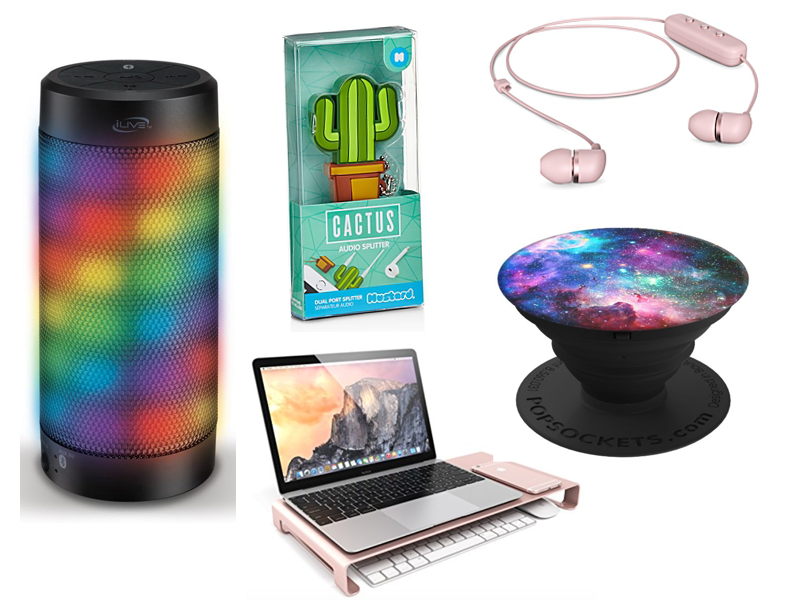 These gifts are perfect for any gadget lover. What do you get to the person who owns every little gizmo & gadget? How about another gizmo? These items are totally useful, so they won't forget it in the back of the storage closet. Bluetooth in-ear wireless headphones // who needs headphones with wires these days? 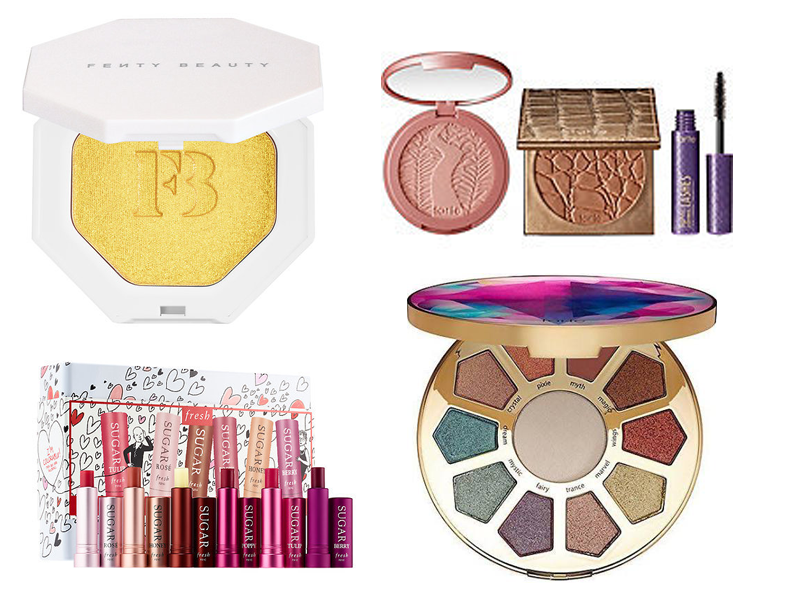 These gifts are perfect for all the beauty hoarders out there. Holla! Grab these holiday gift sets before they sell out. Gift sets tend to give you a better bang for your buck, which is why I love them. Oooh, so shiny. Fenty Beauty Killawatt Freestyle Highlighter Trophy Wife // glow on, girl! 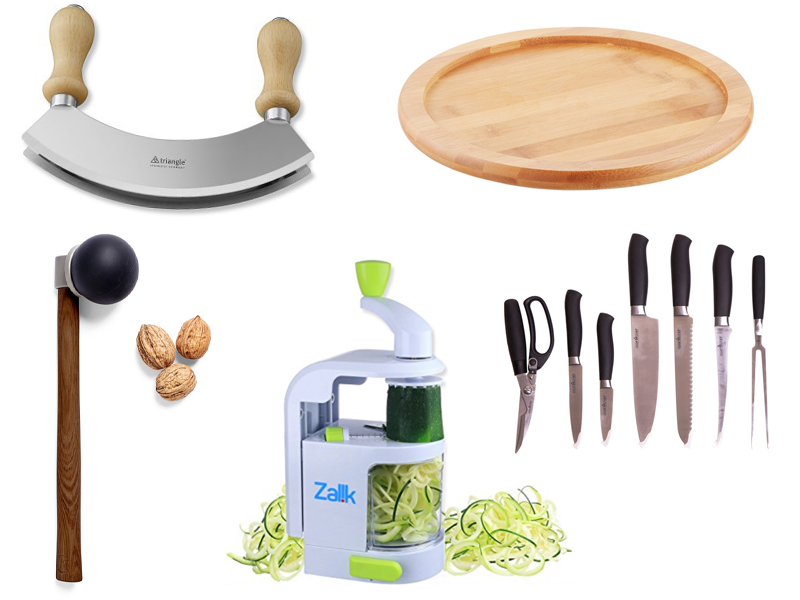 These gifts are perfect for the cooking master who enjoys spending time in the kitchen. Professional or not, they're always experimenting with new recipes & could use some up-to-date kitchen necessities. Love your picks!! So many good options! Great ideas for gifts. It really has something for everyone and a good price! I have those black mules and I love them. I also need that letterboard in my life. Love all your picks especially the eyeshadow palette! There are so many fun options here. A bit different than the norm that I have been seeing. Cool list! There's several things even I would want on here. Great ideas! I want the chopper! These are all great ideas! I love that you added different categories! Love this! I have the H&M chunky knit jumper and I can't take it off! It's lovely. So many options are available here. Thanks for sharing. Yesssss! That's always a good thing!